Decorative door wall hanging Diya is one of our common products. It's wildly use for wall hanging or home decorator. As we could have moulds, you are always welcom to share your ideas. 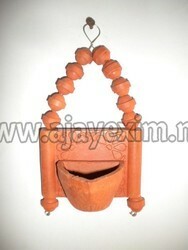 Banking on the skills of our qualified team of professionals, we are involved in offering Clay Oil Lamp. Handmade Lamp made by artisans of Jaipur. Made up of glass, metel and wood. 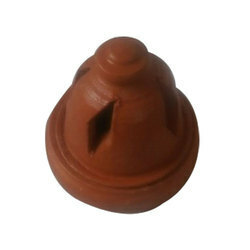 We are a very prominent name for providing a wide range of Clay Oil Lamp to our valuable clients. Our products are designed by using supreme quality material, which we procured from the trusted vendors. Clay Oil Lamp is using for Hindu&Christian Festivals.It is made from clay.We can supply any clay product as customer's requirements. This a good big sized clay lamp with oil proof coating having oil containg capacity of . This is big size and beautiful terracota colourful clay lamp. - Karthikai the lighting of small clay oil lamps filled with oil to signify the triumph of good. These lamps we keep on during the night and one's house is cleaned, both done in order to make the god feel welcome.